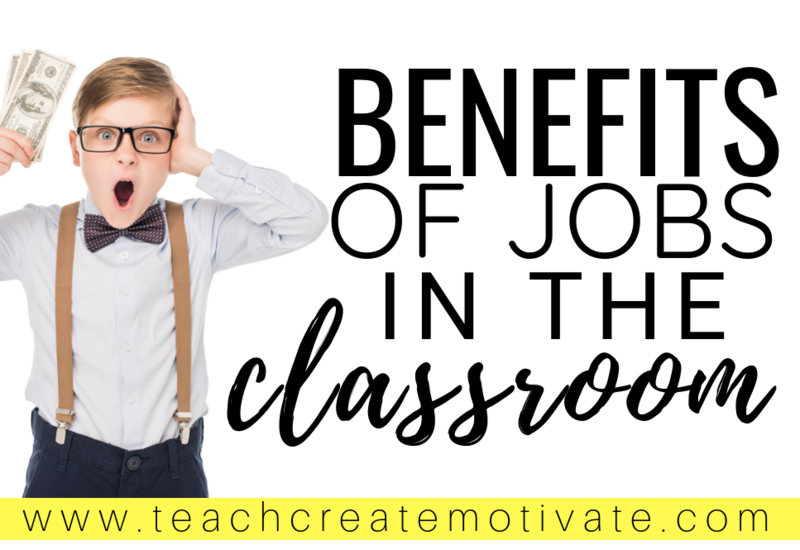 Do you know how many benefits there are from having student jobs in the classroom? 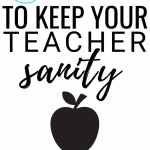 Providing your students with leadership roles that your students care about will work wonders for your classroom organization, classroom community, and your teacher sanity! 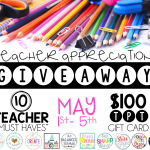 I used to be the teacher with just 2 helpers who did EVERYTHING for me. It worked..it was fine..but I had no idea what I was missing out on! 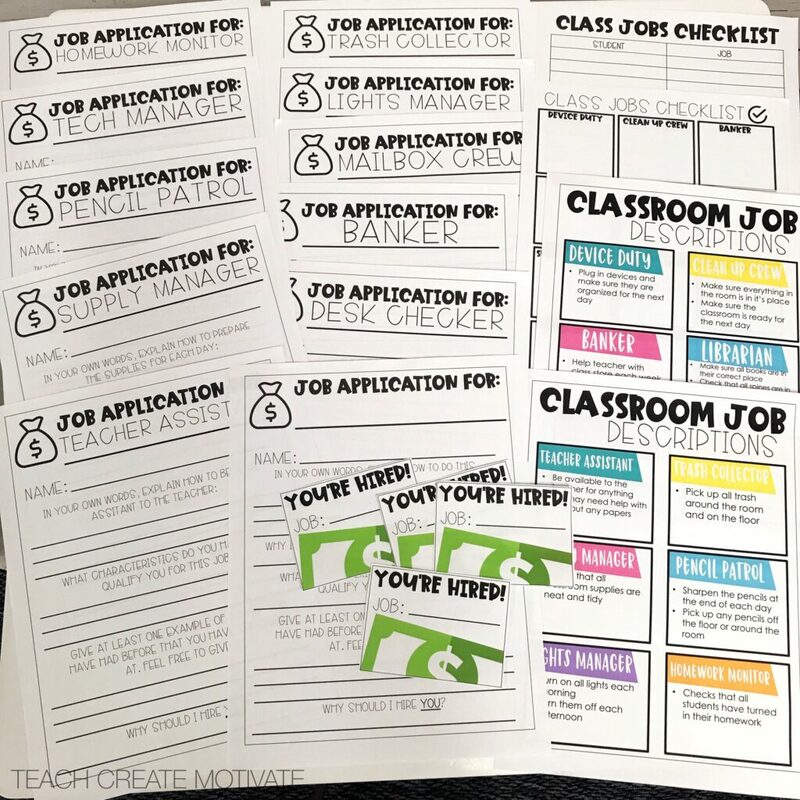 Last year, I decided to let my students have actual jobs in our classroom. 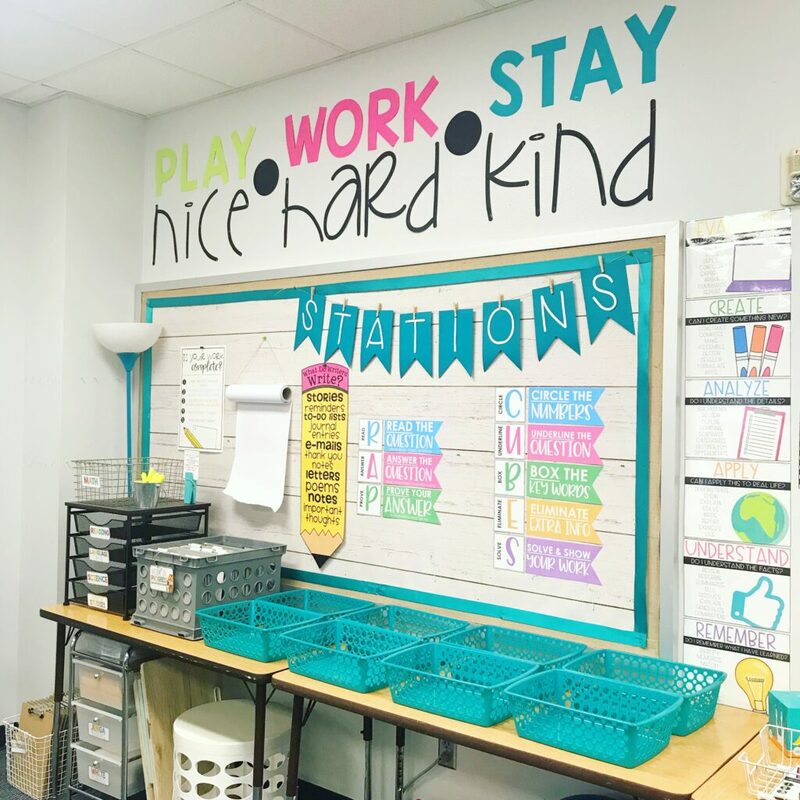 I noticed that we had some areas of need and I wanted to show them that it wasn’t just my responsibility to fill those needs. The room was getting more and more messier at the end of each day. Pencils weren’t getting sharpened very often (oops!). 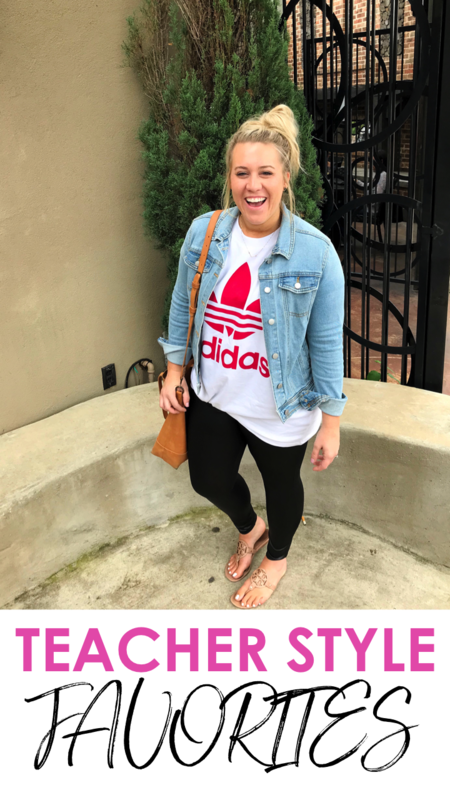 I always had students run errands for me, but I didn’t have a system for that either. 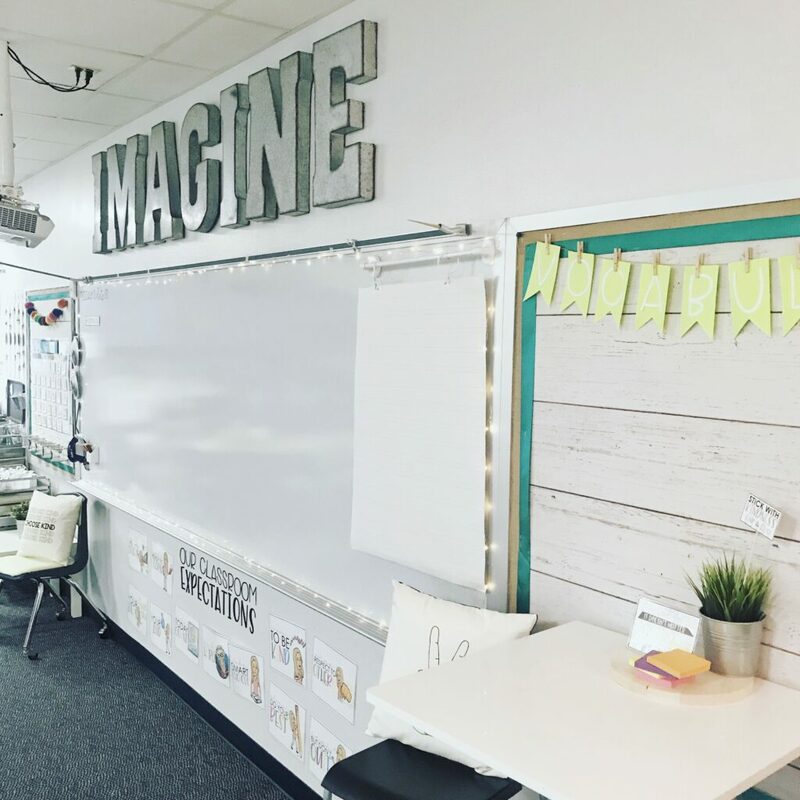 The most important step in starting class jobs in my opinion is having your students help you brainstorm what your classroom needs! It’s their classroom just as much as it is ours. 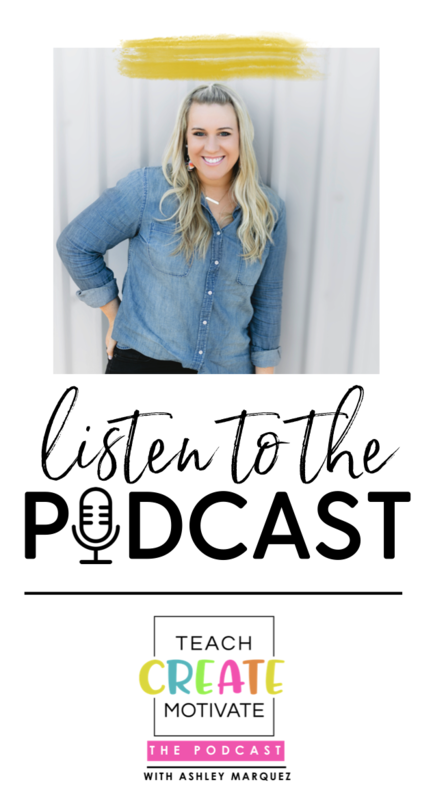 We talk about the importance of student leadership roles, why I, the teacher, can’t and shouldn’t have to do it all, and what roles we thought would make our classroom a better place and a more organized and happy place to learn. Of course, I guided this conversation and mentioned some jobs I thought we could all benefit from too! 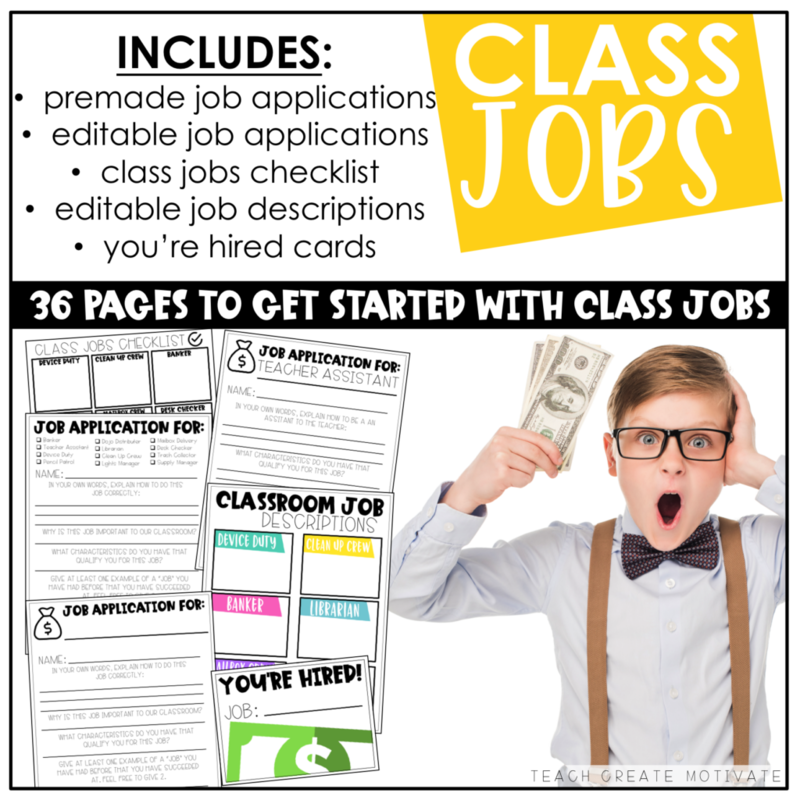 I also love to refer to our classroom leaders posters on what is expected of not just those with a job, but all of us all the time! We decide together on how much students will be paid for their jobs. Letting them help you choose provides great buy in! After deciding on the jobs available, we discussed in detail the specifics of that job. 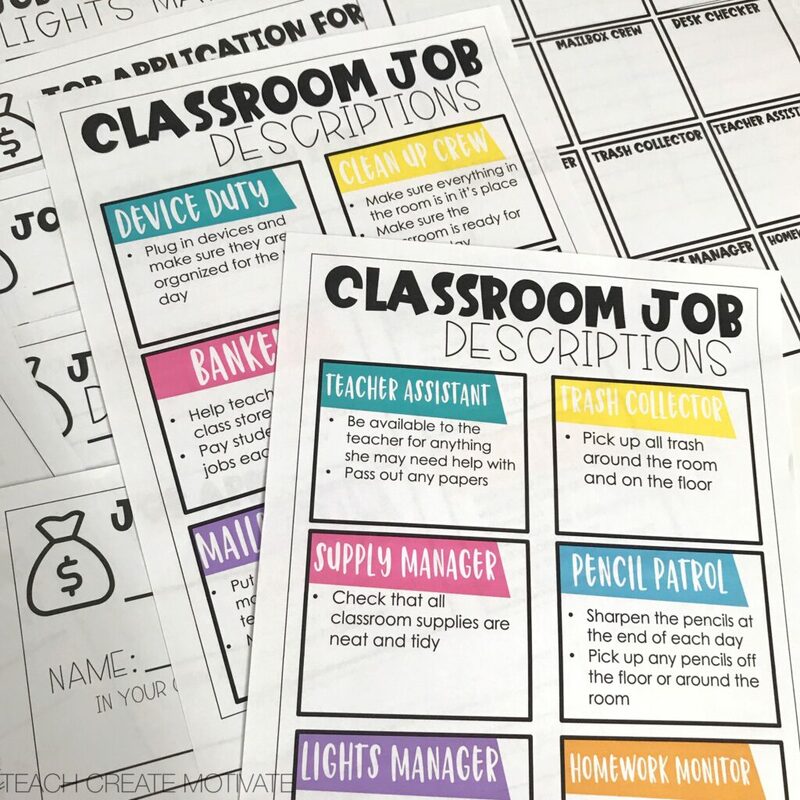 This is crucial in my opinion so that your students are successful at their job and so they know their expectations of how to complete their duties. Now comes the fun part! Job applications! 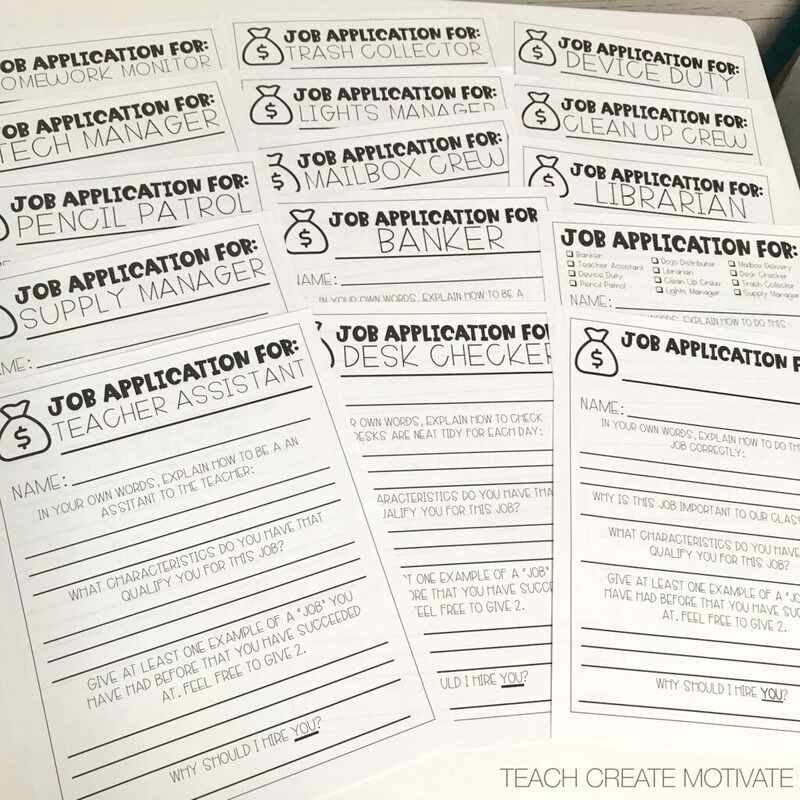 My students love the opportunity to apply for the job or jobs they are wanting. There is usually not a job for each student. I tell them that not everyone will always have a job, and that’s ok! We switch jobs each month so everyone has the chance to apply for different jobs. I print out some job applications and let them complete one for each job they would like to have over the course of a couple days. 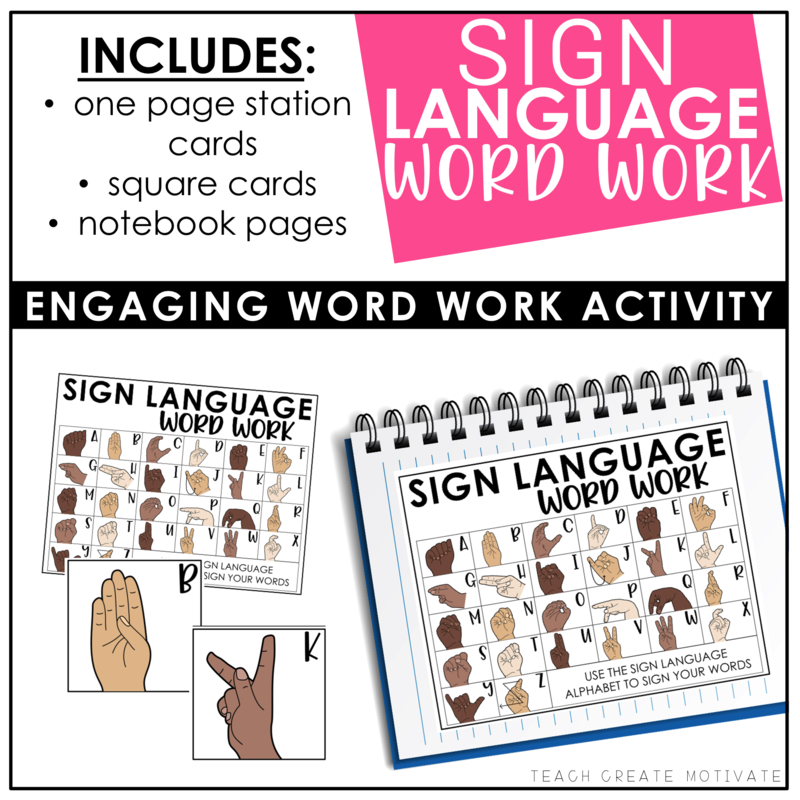 They can work on them in the mornings, during independent reading time, or when they finish an assignment. Once I have all applications I go through and decide who to hire. I really try to give all that apply a job, but that doesn’t always happen. 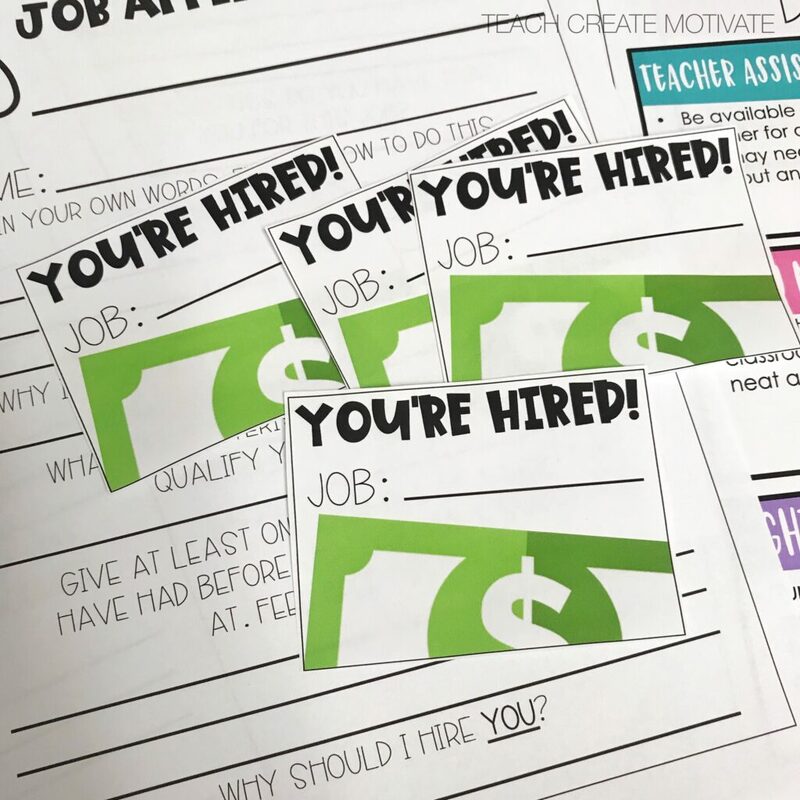 You could double up some jobs if you want each student to have a job each month. 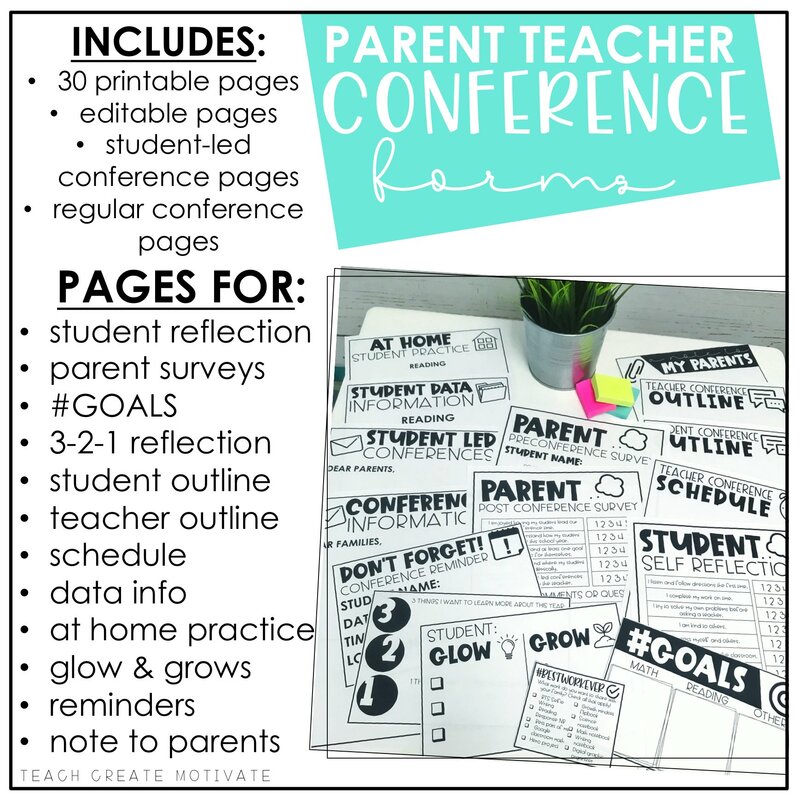 For me, this isn’t necessary and my kids handle this fine and know they get a new opportunity the next month. Then, at the end of the day or during morning meeting I announce who got hired for what job. It’s really exciting and they all clap and congratulate each other! 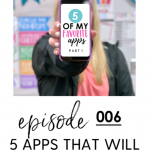 I love to hype this up, this creates more buy in for my students wanting to take the lead in our classroom. I also give them a You’re Hired! card with their new job name. This just makes it fun! Jobs happen at the end of each day. We take about 5-7 minutes before packing up to get our jobs done. Everyone is working at the same time. They take such pride in getting their job done correctly for the next day. Sometimes on their first day on their new job I do walk around and model different parts of their job so that they are successful doing this for the rest of the month. The students who don’t have a job for that month are just getting their desk and materials ready for the next day and packing up. They get paid every Friday and this is the job of the banker. In my class, everyone gets paid the same amount. 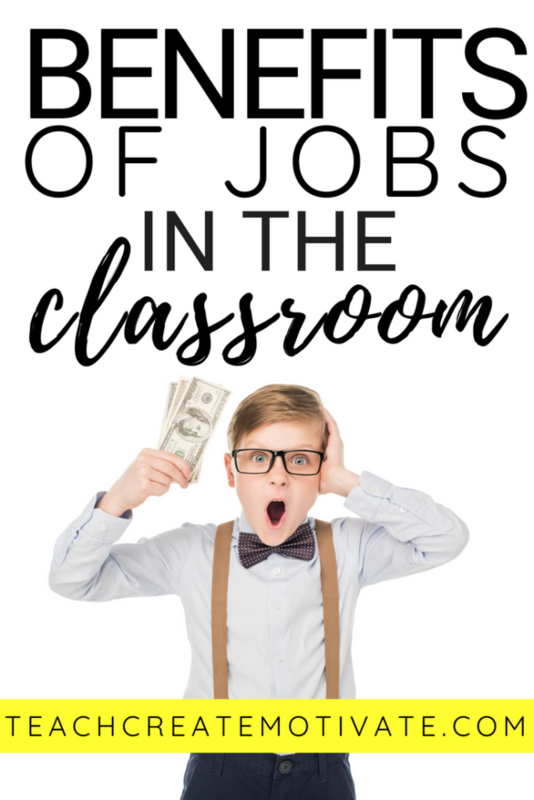 I like to keep the description of each job poster somewhere in the classroom. This way, if they need a reminder, or if they are new to that job they have a place to look. 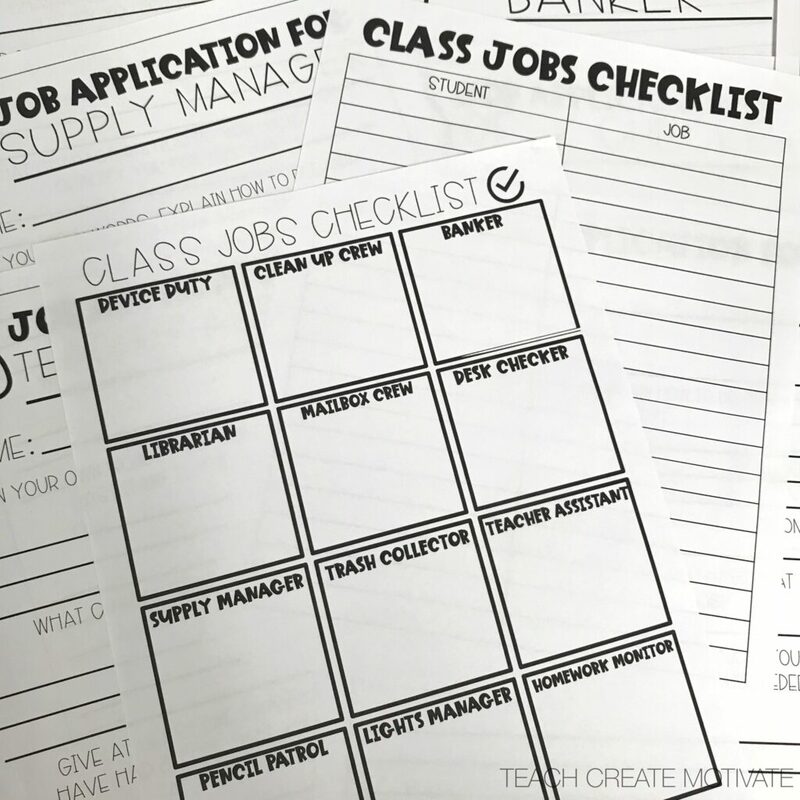 To stay organized I use this checklist to add all of my students’ names under each job title. I check them off as they get hired for each job. This helps me spread the love! 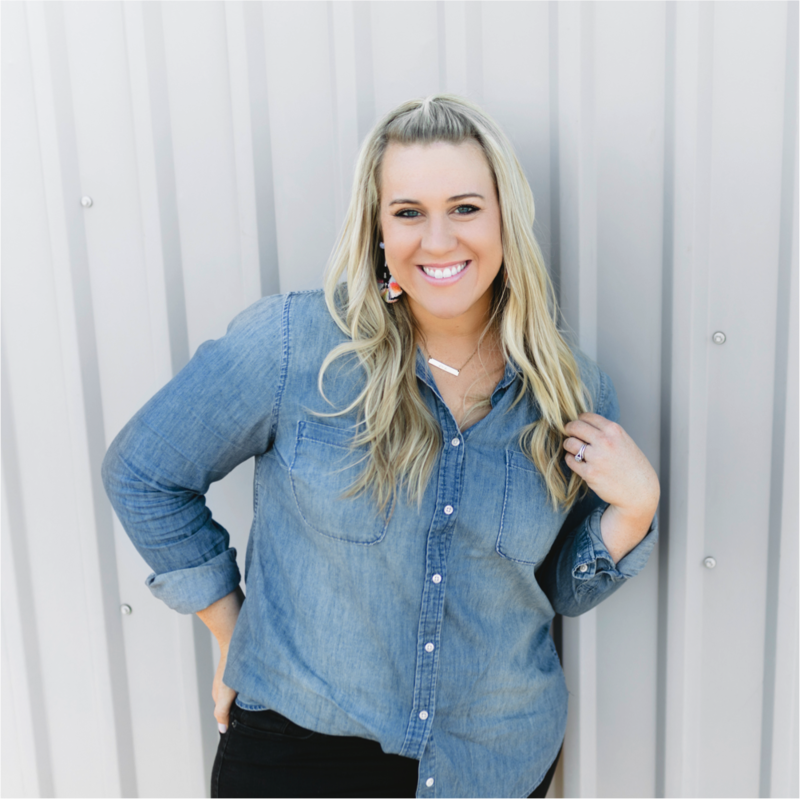 The benefits of having these leadership roles in the classroom is endless. I see huge growth in my students’ leadership skills and great ownership of their classroom and classroom environment. 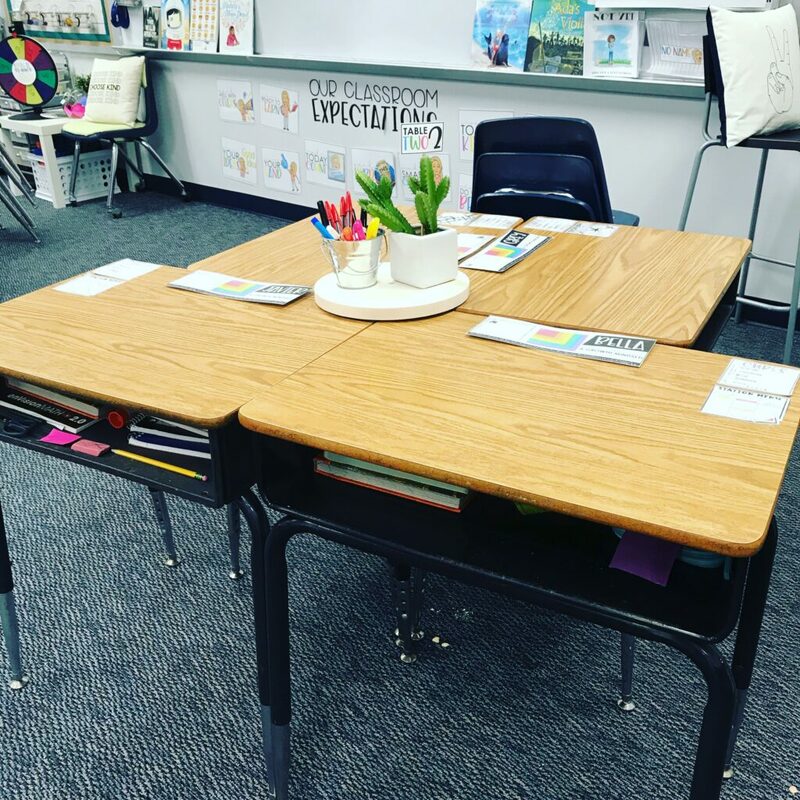 When the students are in charge of almost everything that is required to get our classroom ready for the next day of learning, they appreciate everything much more and even keep it pretty clean and respected throughout the day. The support of each other is also so great to see. They love watching each other shine and sharing the different jobs in the class. Not to mention, this makes my job just a little easier! 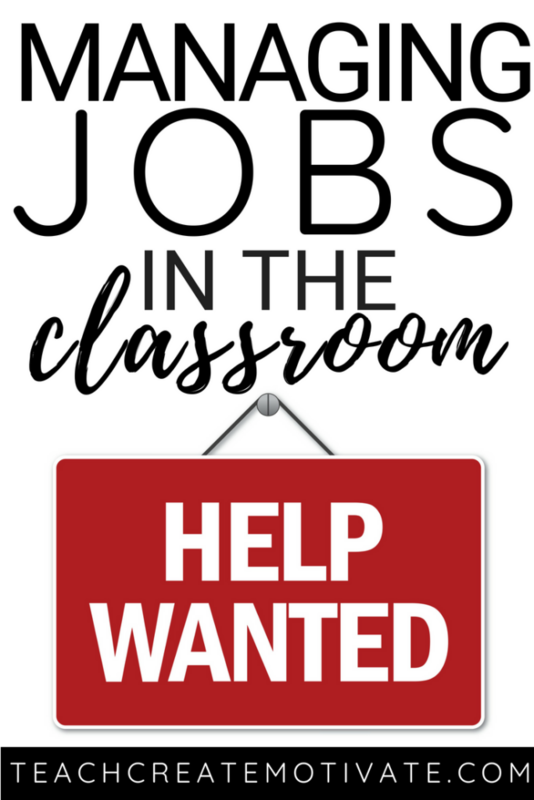 I highly encourage you to try jobs in your classroom! 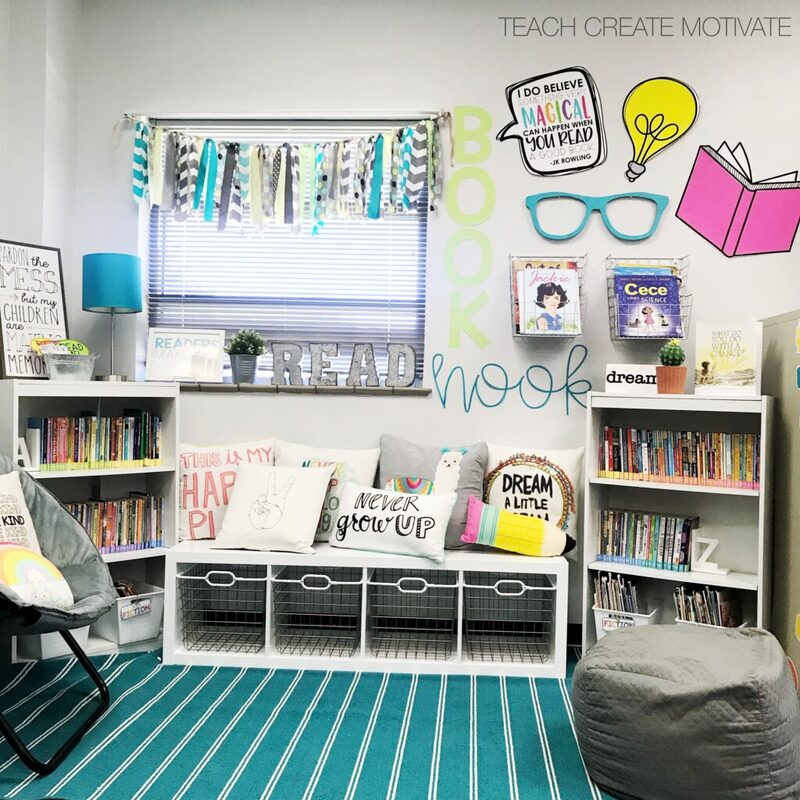 Letting your students apply, get hired, and get paid for the work they’re doing is so powerful for your classroom environment and community but also the individual growth of your students leadership skills. 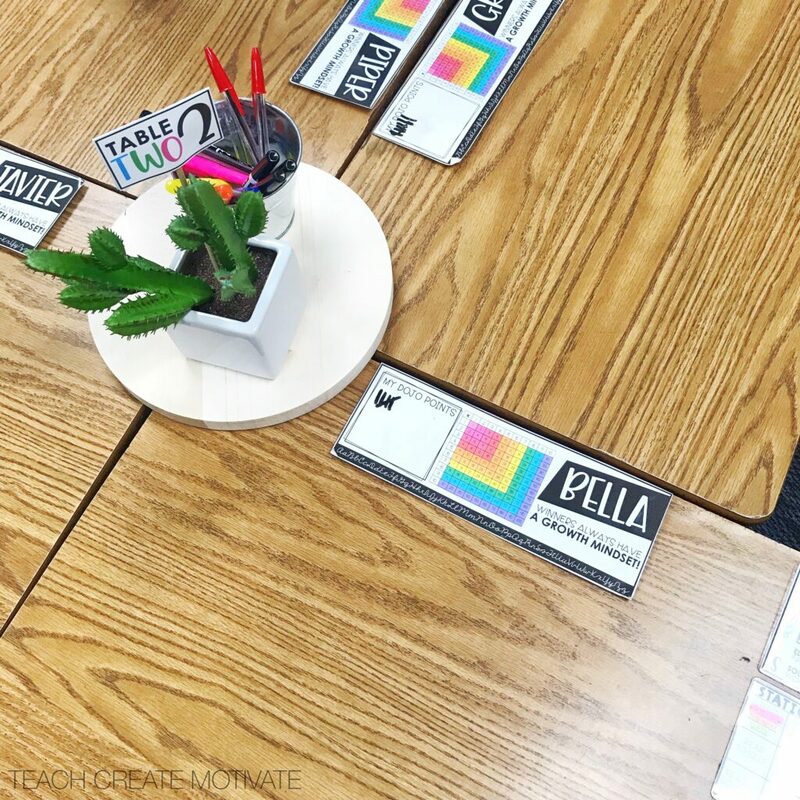 You can see all resources I use in my classroom for leadership roles here!